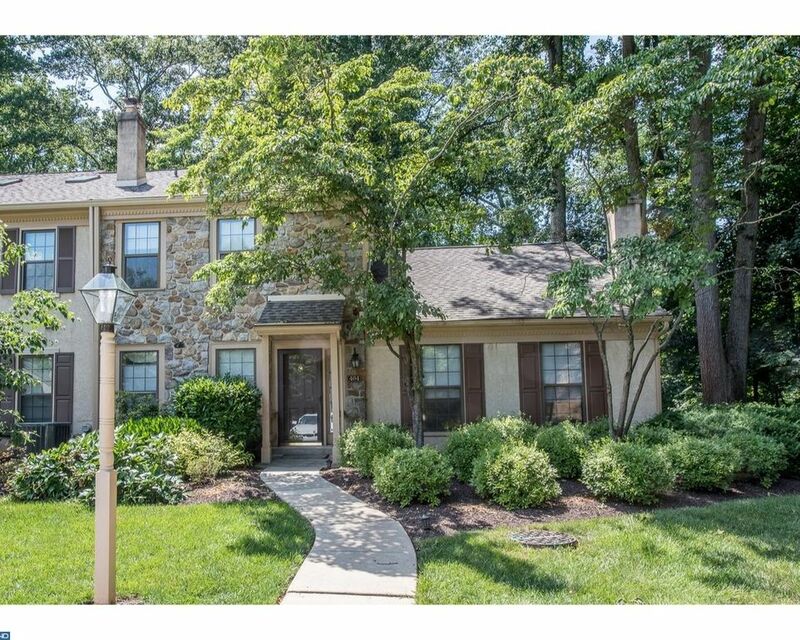 Wonderful upgraded end unit in the scenic and convenient community of Weatherstone. This townhome has a very desireable first floor master with an updated bath and closet en suite. The first floor has a great flow and starts with the entrance hall in a tasteful neutral tile as well as the powder/laundry room. The large living room has a fireplace and elegant chair and crown moulding, this room adjoins the formal dining roomal also with moulding and doors to the patio. The eat in kitchen has been upgraded with granite countertops and stainless refrigerator and dishwasher. This room also has doors to the private fenced patio which is great for entertaining and Al Fresco dining. There is newer hardwood flooring throughout! The spacious second floor has three addl bedrooms and and a hall bath. There is a full basement providing this home with abundant storage and work area. This home has a new roof, heat/AC and bay window in the kitchen 2017 ! All this and low taxes and HOA within walking distance to shops, restaurants and train. This community offers a relaxing lifesyle with a pool and club house and the HOA covers common area, shrubs, lawn, trash, snow removal and pool. Move right in and start enjoying it all.